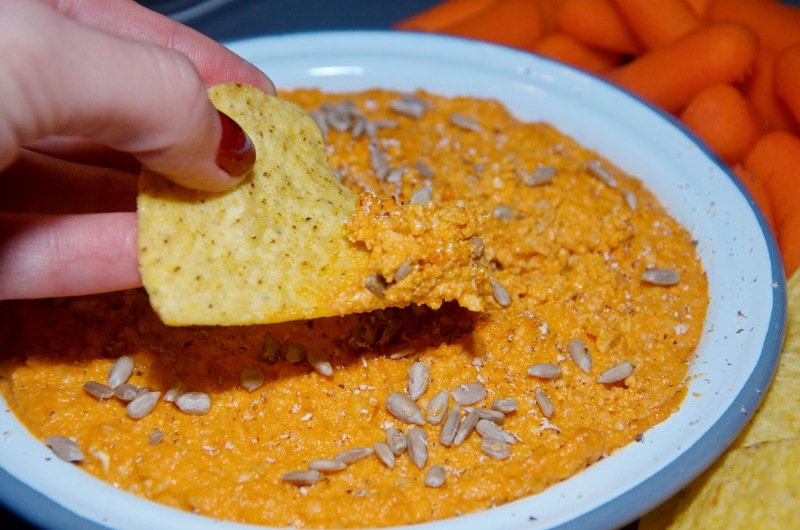 This Buffalo Cashew Dip recipe is the easiest thing in the world to make if you have a food processor and it takes almost no time to put together. I'm no expert on healthy diets and I actually hate the word healthy when used to describe food since I'm more of a everything in moderation kind of girl, but since it's made with olive oil, nuts and seeds as opposed to chicken, cheese and creamy ranch dressing, this dip is probably a somewhat healthier alternative to the Buffalo Chicken Dip recipe featured here last year. 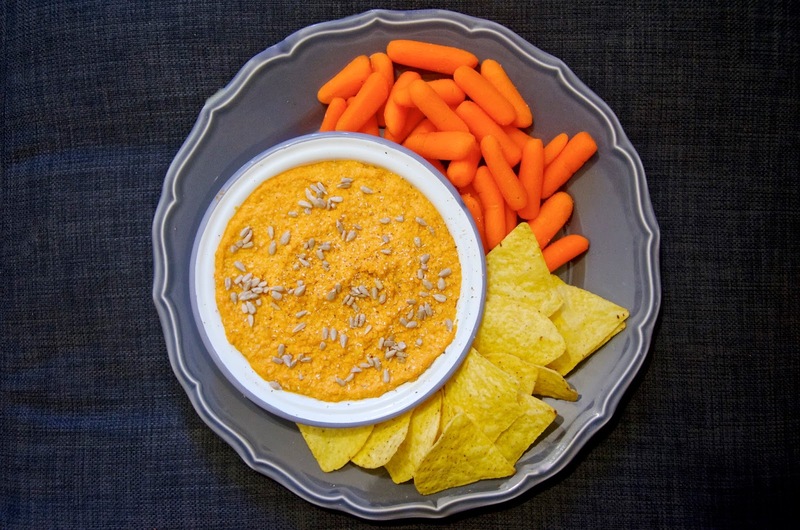 Though it's a more diet-friendly option, Buffalo Cashew Dip is no less tasty than it's naughtier counterpart... 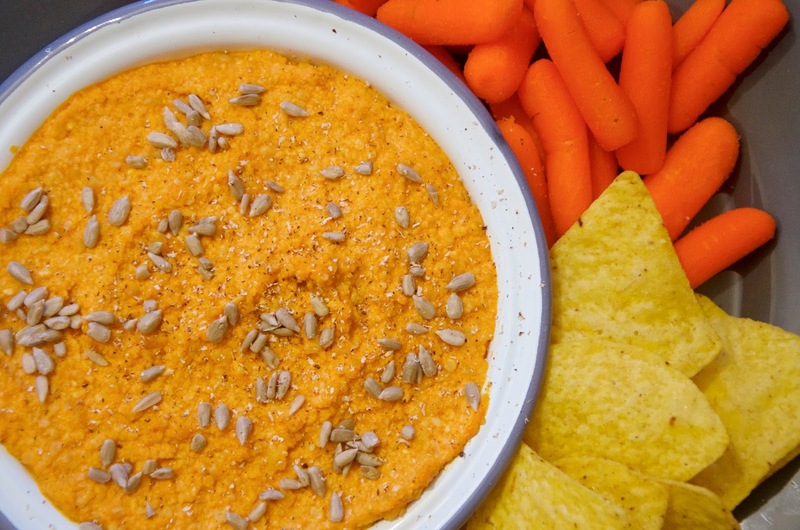 It's delicious and perfect for a party, a movie night or even snacking on throughout the week. I love this as a dip, but there are plenty of other things you can do with it, so feel free to get creative. If dip isn't really your thing, try spreading it on some crostini. Opt for either store-bought or simply brush some olive oil on baguette slices and toast under the grill in the oven for a few minutes until gold and crispy. 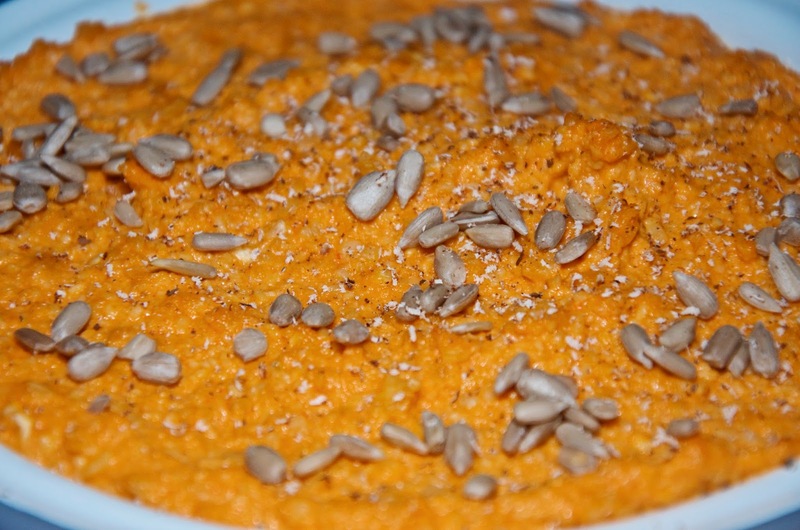 Spread the cashew dip on each slice and sprinkle with the sunflower seeds and nutmeg. You could even add a little shredded chicken on top and a few pieces on a plate would make a lovely starter. Alternatively, I wouldn't say no to some of this smeared on grilled chicken, thrown into a chicken wrap or even served simply with some pitta bread, but my favourite way to eat it is with tortilla chips. It's a lovely alternative to chips & salsa or nachos and goes great with a cold beer or margarita if you happen to be indulging. 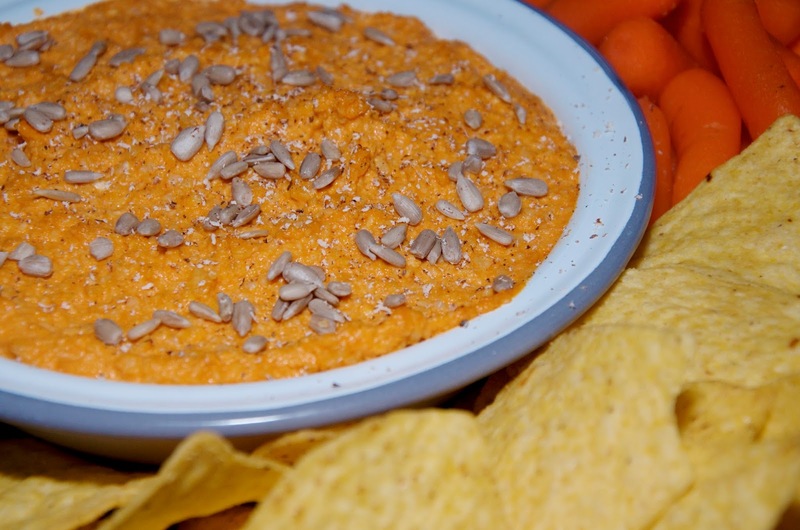 Every ingredient for Buffalo Cashew Dip can be kept on-hand with a long shelf life, so there's nothing stopping you being able to whip this up with little notice. In the event that you don't have time to chill it properly, it's just as good warm, so simply skip the chilling process. 1. In a frying pan, dry toast the cashews over medium-high heat, turning and tossing with a wooden spoon regularly to avoid burning them. When they start to give off a nutty aroma they're nearly ready. Toss in the cumin and stir in the pan for another minute or two before removing from the heat. Transfer directly to the bowl of a food processor. 2. Add the buffalo sauce, extra virgin olive oil, lemon juice and zest, water and celery salt to the food processor and whiz until smooth. Turn the mixture out into a bowl and cover with a lid or some cling film. Chill in the refrigerator for at least 2 hours or as long as overnight. 3. When the mixture is cool, transfer the dip to a serving dish or bowl and smooth the top with the back of a spoon or a rubber spatula. Grate some nutmeg over the top if you like and finish with a sprinkle of sunflower seeds (optional). Serve cold alongside cut vegetables, tortilla chips, crackers, crustini or your favorite crispy flat bread.